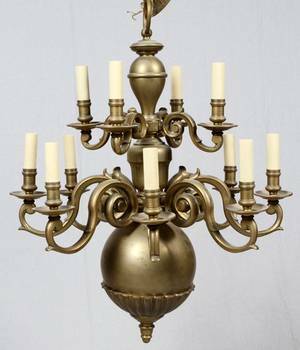 French marble portico clock, 19th c.
Brass chandelier, early 20th c. , 27" h., together with a Philadelphia copper fire extinguisher by M.S. 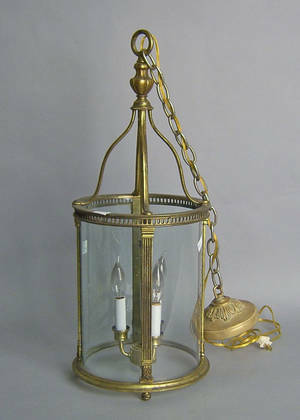 Snyder & Son. 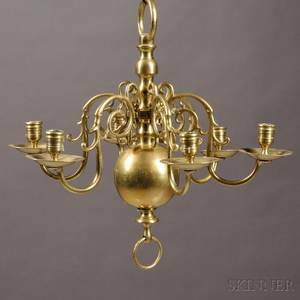 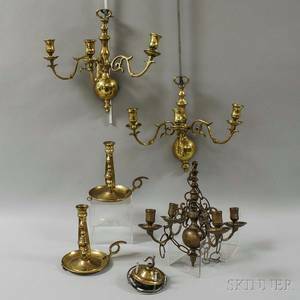 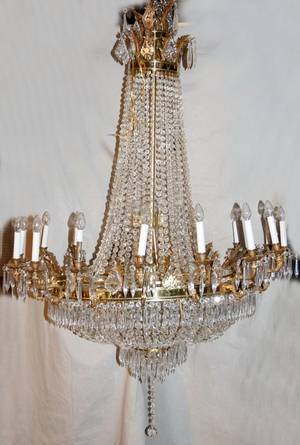 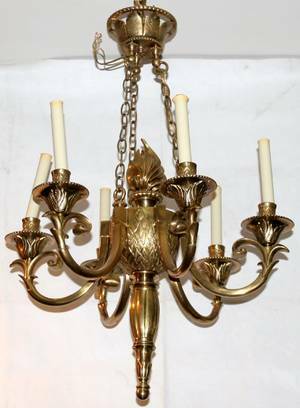 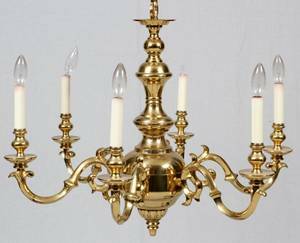 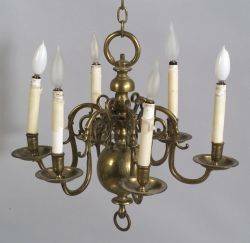 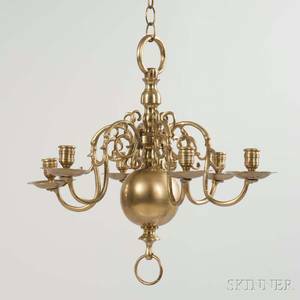 062222: REGENCY STYLE BRASS CHANDELIER, H23" DIA25"
Pair of Gimbaled Candlesticks a Pair of Brass Sconces and a Brass Chandelier.